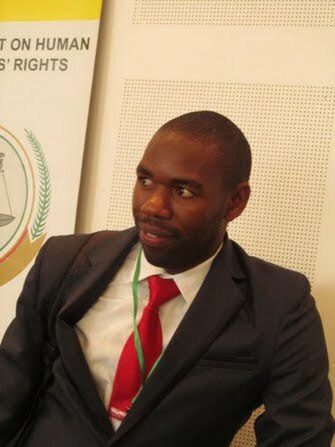 Published on Sep 1, 2016 In part two of VOA’s Billy Ntaote’s interview with Lesotho’s trade and industry minister, they discuss the lack of rule of law and allegations of violations of human rights in the southern African nation. Published on Sep 1, 2016 AGOA or the African Growth and Opportunity Act encourages Us-Africa trades. Lesotho is one of those countries that benefits from AGOA and VOA's Billy Ntaote spoke with Lesotho's Minister of Trade and Industry on AGOA's impact on the country. Lesotho is an impoverished nation in southern Africa that continues to pin its hopes on the America’s renewal of the country’s eligibility for the Africa Growth and Opportunity Act or AGOA. 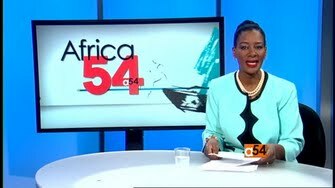 For more perspective on the subject, VOA’s Esther Githui-Ewart is joined in the studio by Billy Ntaote, a Mandela Washington Fellow and a journalist from Lesotho. THE United States government says the “writing is on the wall” for Lesotho’s eligibility for the African Growth and Opportunity Act (AGOA) facility and a second compact grant under the Millennium Challenge Corporation (MCC) due to government’s failure to address issues of “impunity and the rule of law”. In an exclusive interview with the Lesotho Times yesterday, US Assistant Secretary of State for African Affairs Linda Thomas-Greenfield said Lesotho fell short of numerous governance benchmarks for the renewal of trade preferences under AGOA and a second compact grant under the MCC. AGOA gives duty-free and quota-free access to the US market to eligible Sub-Saharan African countries including Lesotho. The legislation, which was approved by the US Congress in May 2000 is meant to incentivise African countries to open their economies and build free markets. The government has offered Lesotho Highlands Water Commission (LHWC) Chief Delegate, Charles Putsoane, M6 million to leave the organisation before his contract expires in March 2017. Mr Putsoane has until tomorrow to make a decision on the offer after previously refusing to accept M5million to quit the post he assumed in April 2014. The LHWC is the largest infrastructure partnership between the Lesotho and South African governments, and consists of three delegates from each of the two nations. 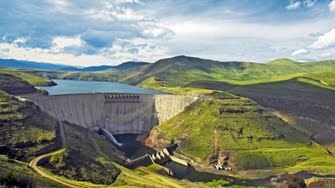 The commission is tasked with implementing the Lesotho Highlands Water Project (LHWP)—a multiphase initiative comprising several dams and tunnels in Lesotho and South Africa. 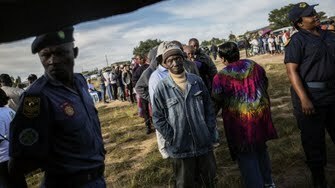 THE Southern African Development Community Council of Non-Governmental Organisations (SADC-CNGO) Executive Director, Boichoko Ditlhake, has slated SADC for failing to address the underlying causes of unrest in member states and only prescribing elections. SADC-CNGO is the representative body of non-governmental organisations operating in the 15-nation regional bloc and is headquartered in Gaborone, Botswana. Mr Ditlhake was part of a SADC-CNGO pre-elections assessment mission dispatched to Lesotho from 11 to 13 February and led by the organisation’s President Lewis Mwape. MINISTER of Foreign Affairs Tlohang Sekhamane says the coalition government is working to tackle poverty and foster citizens’ participation in governance to stem the periodic instability that has rocked Lesotho. Mr Sekhamane made the remarks during a Development for Peace Education (DPE) memorial dialogue in Maseru held to honour Sister Veronica Mapaseka Phafoli who founded the organisation in 1993. Among other objectives, the DPE seeks to find ways by which people can transform their material conditions for the better and extricate themselves from a state of helplessness. THE long awaited SADC Commission of Inquiry report into Lesotho’s instability has called for the dismissal of Lieutenant-General Tlali Kamoli as Lesotho Defence Force (LDF) commander, describing the conduct of the LDF under his command as “disconcerting”. Firing Lt-Gen Kamoli would restore credibility and trust of the army by the generality of Basotho, the report concludes. FORMER Finance Minister, Dr Leketekete Ketso, has warned the government to tread with caution in drawing down its foreign currency reserves to cover a budget deficit. Running down the reserves, he said, would send negative signals to foreign and domestic investors as well as making the option of borrowing “more difficult” for the government. Dr Ketso made the remarks last week while presenting a review of the 2016/2017 national budget to parliamentary portfolio committees scrutinising the expenditure plan in the National Assembly. Exiled All Basotho Convention (ABC) leader Thomas Thabane has called on the Southern African Development Community (SADC) to “take command” of the Lesotho army and police while the country embarks on “radical and inclusive” political and security reforms. Dr Thabane also says a body comprising “all key stakeholders” should lead the reform process for Lesotho to have lasting peace and stability. The SADC commission looking into violence and political instability in the mountain kindgom is being hamstrung. The Southern African Development Community (SADC) brought Lesotho some political stability by advancing elections planned for 2017 to February this year. But, as was brutally highlighted by the killing of the former Lesotho Defence Force chief, Lieutenant General Maaparankoe Mahao, by LDF members in June this year, the once peace-loving kingdom continues to be plagued by security concerns. In response, the SADC Organ on Politics, Defence and Security Co-operation intervened, setting up a commission of inquiry into the disturbances in national peace and stability in July this year. But there are good reasons for thinking the commission will do little to shed light on the causes of the instability or help in building a more orderly and less divided society. After nine years in jail for corruption and reappointment as adviser to Lesotho’s Highlands Water Project, Masupha Sole is being investigated again. A Lesotho senior official who served nine years in jail for corruption in the Lesotho Highlands Water Project is now under investigation by Lesotho’s anti-corruption body. Masupha Sole was controversially reappointed as adviser to the scheme, working under Lesotho’s water affairs ministry, after his release from jail in May 2011. Correspondence in amaBhungane’s possession shows that South Africa, which jointly oversees the water scheme through a bilateral Lesotho Highlands Water Commission, objected to his appointment, saying it would make it more difficult to raise loan finance from the international community. Shock new claims against Ramodibedi Swaziland's judicial body says Michael Ramodibedi threatened to shoot police if they tried to arrest him. The disgraced former chief justice of Swaziland, Michael Ramodibedi (70), threatened to shoot policemen if they tried to arrest him on charges of defeating the ends of justice and roped in another senior judge to cancel a warrant for his arrest, a report by the Swazi Judicial Service Commission (JSC) has revealed. At the time he issued the threat, Ramodibedi had barricaded himself in his Mbabane house to avoid arrest. He remained there for 38 days, before charges were dropped and he was allowed to leave Swaziland without facing prosecution.